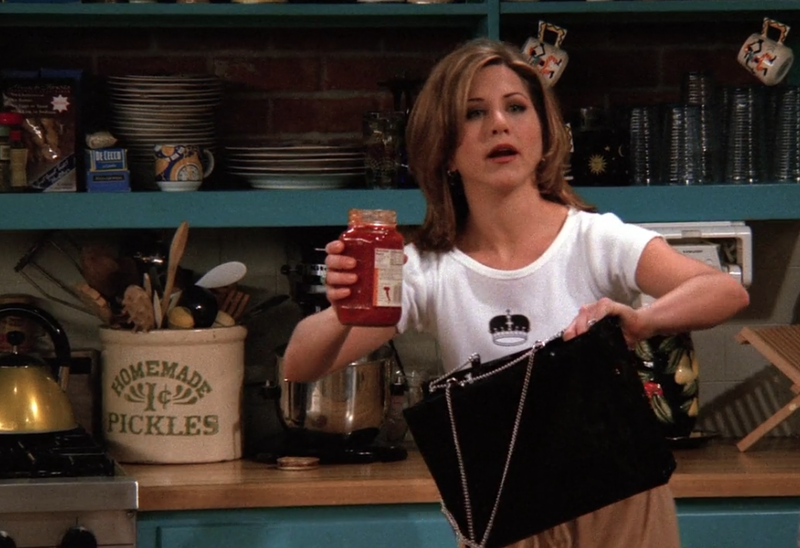 That’s right, in TO After the Super Bowl (technically, Part 2), Rachel grabs Monica’s purse and a jar of tomato sauce — and the rest is history. For this very special signature beverage, we knew we wanted champagne/sparkling wine — after all, we’re celebrating! But we also wanted to make it applicable to the “handbag marinara” theme, so then we thought … tomato? Yes. We combined tomato and sparkling wine. We used this recipe from Muir Glen as a blueprint, and added our own spin to it. We added horseradish (because, like bacon, most things are better with it), and we doubled the amount of hot sauce to make it extra spicy — just like us! 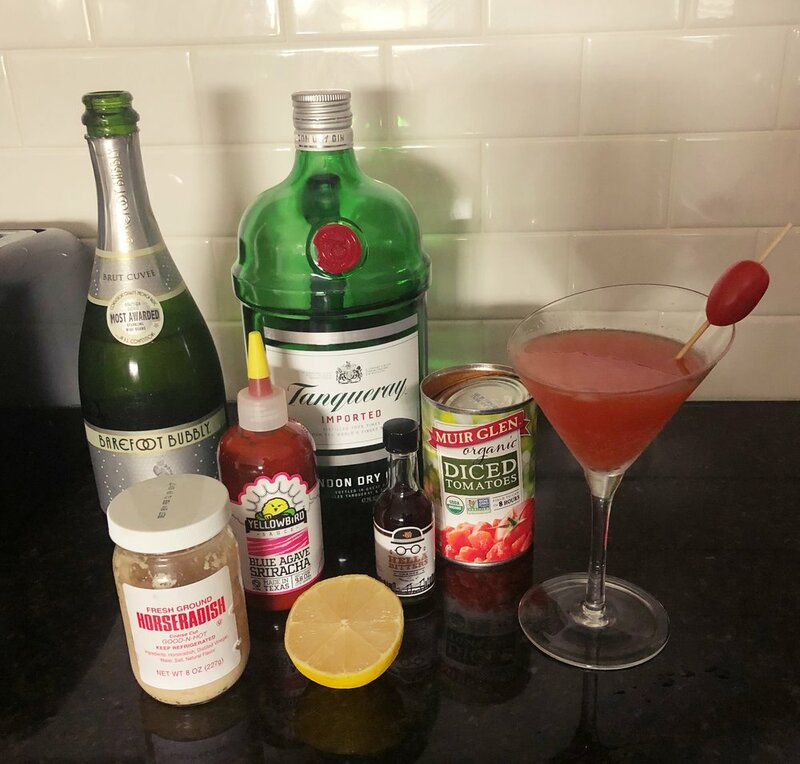 Combine the first six ingredients (basically everything except the sparkling wine and garnishes) over ice in a cocktail shaker. Shake well. Strain (or pour, if you like chunks like Heather does) into a champagne flute or martini glass and top with champagne/sparkling wine. Garnish with cherry tomato and/or lemon peel. We know. This sounds really weird. And yes, it’s basically a Bloody Mary with some sparkling wine added. We recommend making it at least 15 minutes ahead of time, to let the ingredients meld well together.